This marvellous piece of preparation work was carried out by Andy Cowap and commanded many many hours of painstaking work. 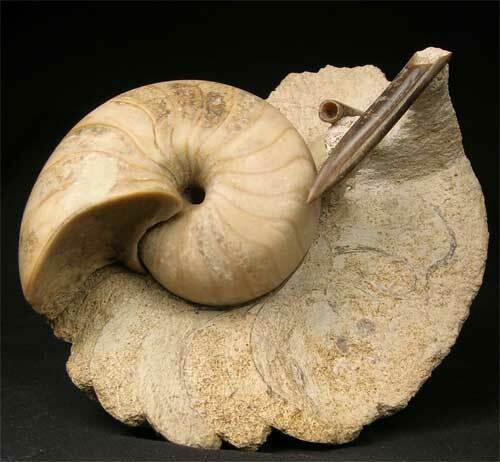 Only very few fossils of this calibre are seen on the open market for sale. This superb fossil is not only a one off unique item but is a very good investment for the future. 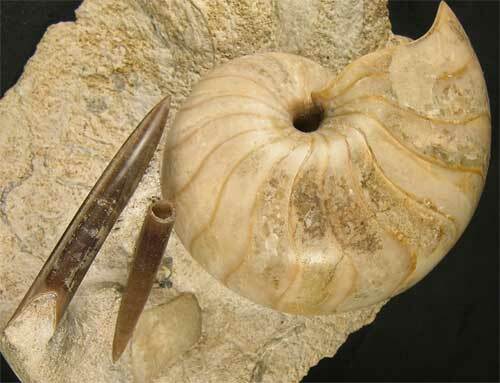 This particular fossil locality is no longer accessible to collect, hence their rarity. Approximately 167 million years old. 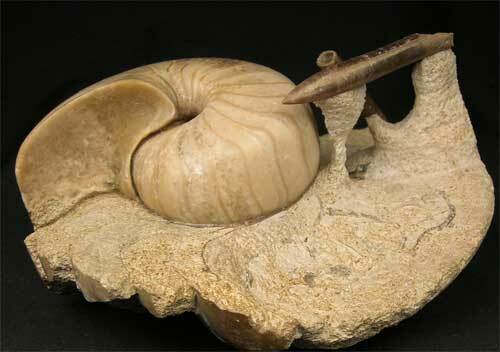 Both the Nautilus and the Belemnite Rostrums are solid calcite. 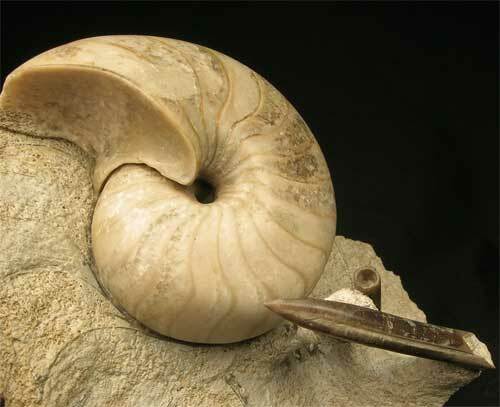 This one is for the serious collector of very fine fossils. Extremely rare.